Strong and reliable single-use plates. Biodegradable and compostable. Dinner.8-3/4".20/pkg. Strong and reliable single-use plates. Biodegradable and compostable. 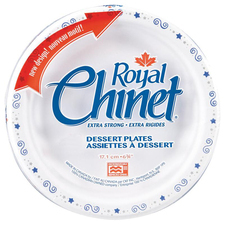 Dessert.6".20/pkg. Lid clicks onto container for a secure seal. Ridged lid for secure stacking. Bases have measuring marks. 5.2 cups.4/pkg. Lid clicks onto container for a secure seal. Ridged lid for secure stacking. Bases have measuring marks. 1 Gal.2/pkg.